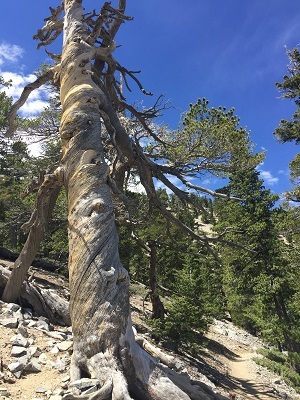 Grounding sends stressful vibrations back to the Earth, in effect recycling the energetic stream. When we release stress and tension there is an increase in our vitality levels and life force. Here are few suggestions to get grounded and connect with your own heaven and earth. 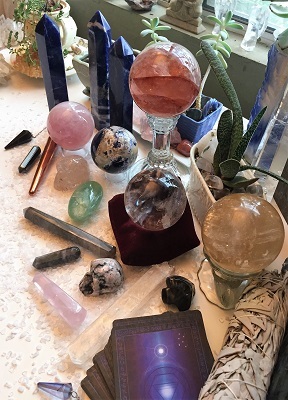 Crystal wands, crystal spheres, and pendulums are just a few of the crystal tools available for connection, communication, divination, dowsing, and holistic healing. The vibration and resonance of each crystal tool has a different effect on the environment, physical body, aura, and chakras depending on the energetic attributes of the crystal and type of healing tool chosen. 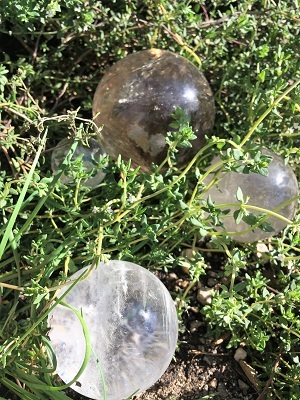 Crystal balls and spheres are excellent tools for divination.The smooth surface and the shape of the sphere facilitates clear communication and helps to keep the energy flow moving. 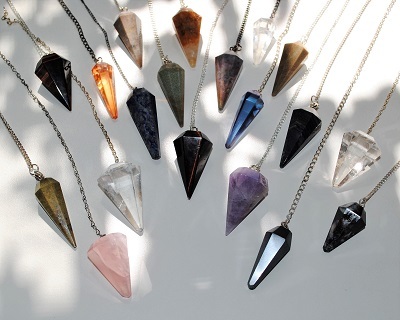 Pendulums are crystal tools that may be used in making healthy choices and additional clarity with diagnosis. Pendulums may be helpful when working with crystals, practicing energy work, or even looking for lost objects. Crystal wands come in many different shapes and sizes and are created from a wide variety of stones, crystals and minerals. The healing vibration of each crystal will have a different effect on the physical body, aura, and chakras. 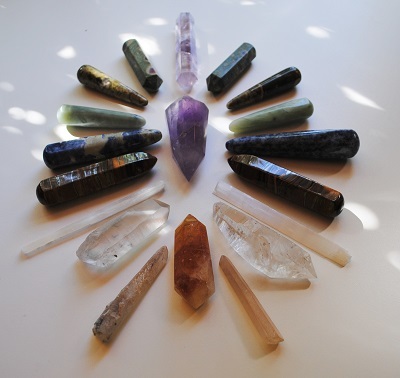 You may choose a crystal wand to use for a specific purpose or select a wand that is created from crystals and materials that will harmonize vibrational energies with your intention.